With our inventory of more than 70 Swiss machines, each outfitted with automatic bar loading systems, C&M Precision Tech has the flexibility and capacity to provide precision parts with industry leading turnaround times. Our expansive Swiss machining area features high throughout equipment with up to 10 axis of motion and unique large scale capabilities to machine parts measuring up to 2.0” in diameter and a remarkable 9.0′ in length. We routinely achieve tolerances of ±.0001″ or better. From one single set-up, we are capable of creating complex geometries using processes such as broaching, slotting, as well as internal and external threading at any angle. Examples of our precision Swiss machined parts can be found in sophisticated equipment, instrumentation, and devices throughout a diverse range of industrial markets. Our processes are governed by an ISO 9001 & AS 9100 certified quality management system, and we are ITAR registered for the export of goods for the defense industry. 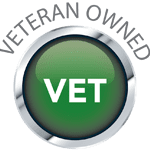 As a veteran and family owned business, we have an extraordinary work ethic and are steadfast in our mission to provide 100% customer satisfaction. Contact us today to learn more about our Swiss Machining services.